In September CNN News reported a stampede that left over 1,000 people dead and hundreds more injured during a “stoning the devil” ritual at the annual Islamic pilgrimage to Mecca. Television cameras portrayed workers in hard hats pulling bodies from piles of humanity, searching for anyone still alive. Hundreds of ambulances were dispatched to the scene. 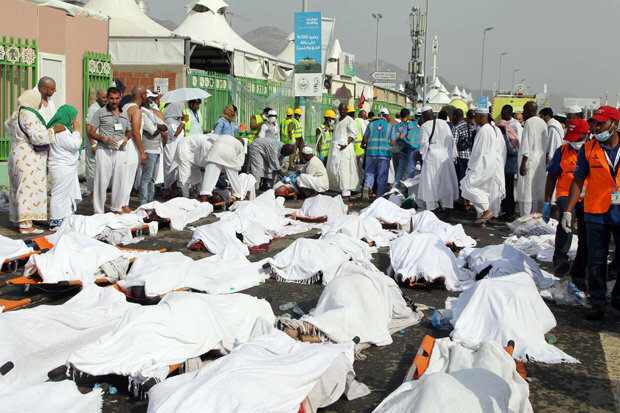 The story noted that the disaster happened just 13 days after a crane collapse at the Grand Mosque in Mecca killed more than 100 people. It said Crown Prince Mohammad bin Nayef bn Abdulaziz called an emergency meeting to discuss the disaster. Details of both incidents were thin. 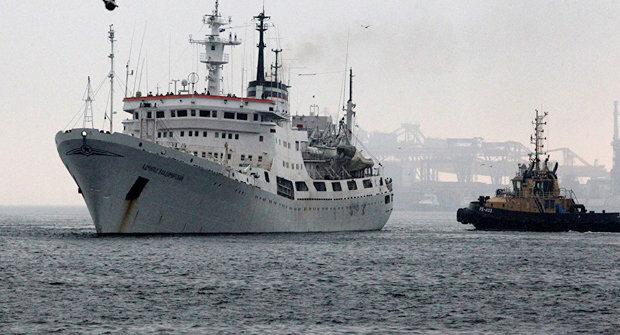 On December 24 a strange story involving the Russian Navy began circulating the Internet. It seems the research ship Admiral Vladimisky had been dispatched to the Saudi port city of Juddah, the gateway to Mecca, to pick up a mystery artifact uncovered by construction workers at Mecca and carry it to the Antarctic. The artifact, identified as the “Ark of Gabriel,” was uncovered Sept. 11 by builders working on a major renovation of the Grand Mosque, the story stated. While digging deep under the mosque the workers opened a tunnel where they found what was described as a mysterious box. Fifteen workers were killed that day by a violent “plasma emission while attempting to remove the artifact. According to a blogger named Sorcha Faal, who revealed the story on line, the force of the blast shot up out of the hole and toppled a large construction crane and killed another 111 worshipers gathered at the mosque. Another blast occurred on September 24 when a second attempt to remove the artifact was made. This time it left over 4,000 dead, the Faal blog claimed. The extend of the disasters was downplayed by Saudi authorities who wanted to cover up the severity of events that occurred at the mosque. The story said the custodian of the Two Holy Mosques in Mecca contacted the Patriarch Kirill of Moscow, head of the Russian Orthodox Church, to talk about the object that caused all of the trouble. Faal said she read a Russian military report that contained this story. To date, this is the only source of the story that attempts to link the Russian naval maneuvers and the two disasters at Mecca. Tryner’s story said when Russian President Vladimir Putin heard about these events, he dispatched the Vladimisky to collect the ark and take it to the Antarctic. Putin apparently regards the ark as either an important military weapon or an extremely dangerous energy force that should be hidden from the world. The stories do not explain how the ark was removed from the cave and loaded aboard the ship. Nor do they explain what Putin plans to do with the ark once it reaches Antarctica. Tryner apparently confirmed that the Admiral Vladimisky called at Jeddah on a "military-religious mission in early December. He wrote that he learned that the ship's cargo also includes "capsules of Russian soil to be placed in the areas of military glory and burial sites of Russian sailors." Are these sailors that perished attempting to move the ark and place it as cargo aboard the ship? Apparently Putin considers the ark as precious cargo because he also has dispatched a fleet of Russian warships, a salvage tug and an oil tanker, and directed two Russian battle satellites to guard the Vladimisky on the voyage. The satellites were both launched in December to take on this task. The fleet accompanying the Vladimisky includes the guided missile cruiser Varyag, the Sovremennyy-class destroyer Bystry, Boris Chilikin-class fleet oiler Boris Butoma, and the powerful salvage tug Alatau. Tryner, who obviously researched this story to great lengths, wrote that Faal is believed to be a pen name used by David Booth, editor of the What Does it Mean website. It was Booth’s website that broke the story first on line. Numerous other sites copied the original story. Tryner said he found it unlikely that Booth ever had his hands on classified Russian military reports. “But apparent holes in the official accounts of the Grand Mosque crane disaster, Majj stampede tragedy and the Admiral Vladimisky mission have left room for conspiracy theories to develop,” he wrote.